ISLAMABAD: Pakistan and Afghanistan agreed on Sunday to enhance bilateral trade and economic relations and inaugurated construction work on dualisation of the 75km Torkham-Jalalabad road. Pakistan has proposed to include Tajikistan in the transit trade agreement with Afghanistan to convert it into a trilateral accord and extend the trade to the entire region. According to a press release, a meeting of the Pakistan-Afghanistan Joint Economic Commission (JEC) opened in Kabul on Sunday, co-chaired by Finance Minister Ishaq Dar and his Afghan counterpart Dr Hazrat Omar Zakhailwal. Mr Dar called for enhancing bilateral trade and extending the bilateral trade agreement to Tajikistan. He also talked about steps he had taken before leaving for Kabul for early completion of projects funded by Pakistan and stressed the need for simplifying visa procedures for Pakistani businessmen and labour and taking immediate measures for finalising an agreement on avoiding double taxation. He said Islamabad attached utmost significance to its relations with Kabul and was playing an active role in the social and economic development of Afghanistan. In this regard, he said Pakistan had undertaken a number of projects, including the 400-bed Jinnah Hospital in Kabul, a 200-bed hospital in Logar, Liaquat Ali Khan Engineering University in Balkh, Rehman Baba School and a hostel for 1,500 children in Kabul, Nishtar Kidney Hospital in Jalalabad and the dual carriageway from Torkham to Jalalabad. Mr Dar said Prime Minister Nawaz Sharif had recently increased the development fund from $385 million to $500m for Afghanistan as a gesture of goodwill for completion of the development projects. In order to encourage and improve bilateral trade and road connectivity, he said, Pakistan had committed to building Peshawar-Jalalabad Motorway and Peshawar-Jalalabad Railway link which would benefit traders of Pakistan, Afghanistan and the Central Asian states. 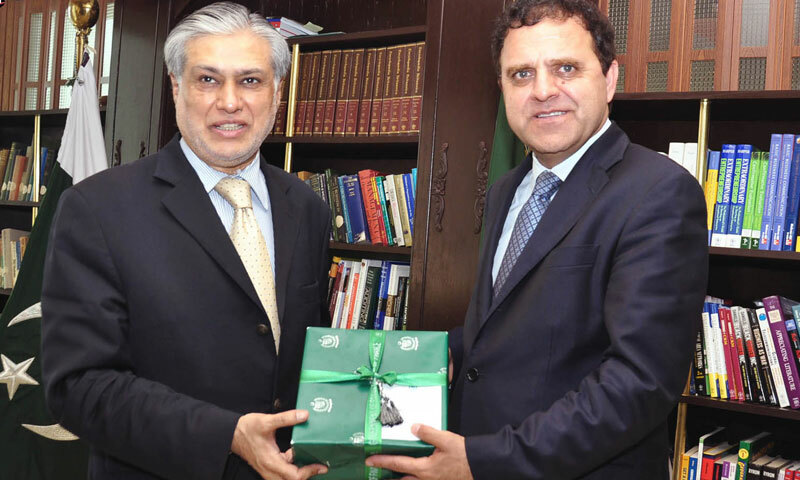 Mr Dar highlighted the achievements made by his party�s government over the past eight months and said that plans had been prepared to overcome security, economic and energy challenges. He said Pakistan had launched a major reform programme for fiscal stabilisation, mobilisation of domestic resources, phasing out subsides, restructuring the power sector and other public sector enterprises and strengthening the social safety net. The grant of GSP Plus status by the European Union, he said, was a manifestation of the trust in Pakistan�s over socio-economic policies. Afghan Finance Minister Dr Hazrat Omar Zakhailwal underscored the need for enhancing trade and economic relations and appreciated Pakistan�s role in reconstruction and rebuilding of Afghanistan, particularly the development of social infrastructure. Later, the two ministers visited Jalalabad and handed over to the Afghan government the Nangarhar Nishtar Kidney Hospital built by Pakistan at a cost of $7.5m. They inaugurated the commencement of work on 75km Torkham-Jalalabad carriageway. The joint commission meeting will conclude on Monday.